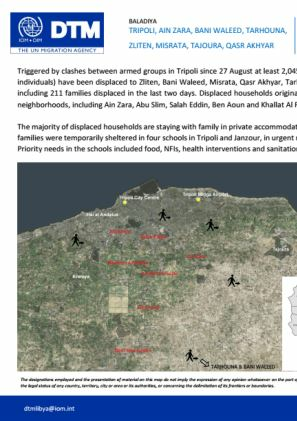 Triggered by clashes between armed groups in Tripoli since 27 August at least 2,045 families (approximately 10,225 individuals) have been displaced to Zliten, Bani Waleed, Misrata, Qasr Akhyar, Tarhouna and safer areas in Tripoli, including 211 families displaced in the last two days. 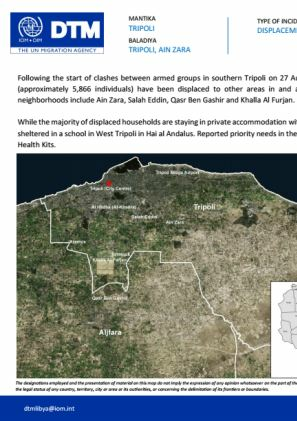 Following the start of clashes between armed groups in southern Tripoli on 27 August, at least 1,171 households (approximately 5,866 individuals) have been displaced to other areas in and around Tripoli. 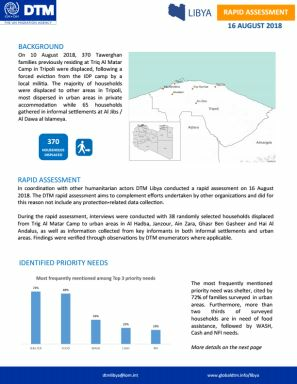 In coordination with other humanitarian actors DTM Libya conducted a rapid assessment on 16 August 2018. 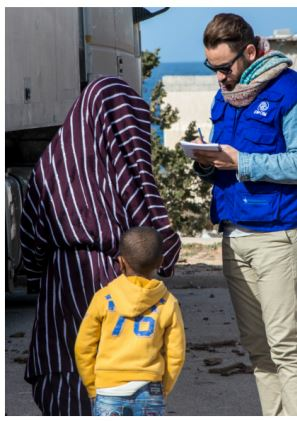 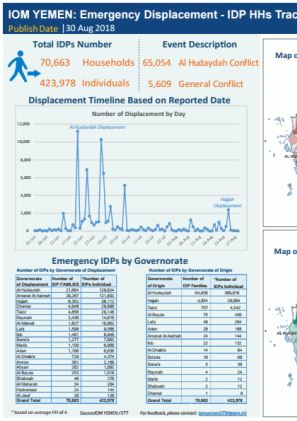 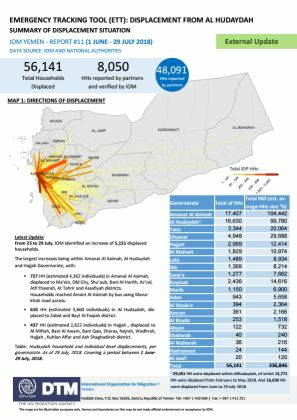 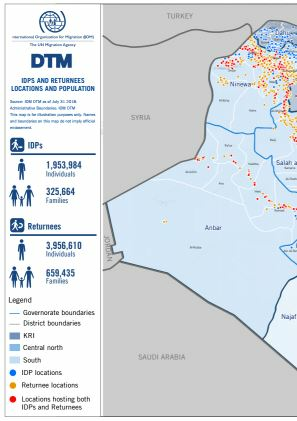 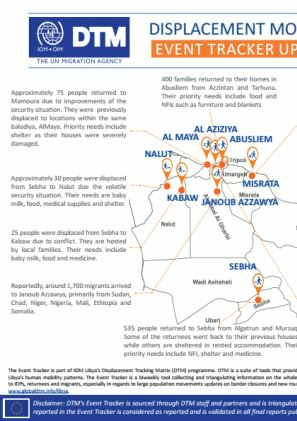 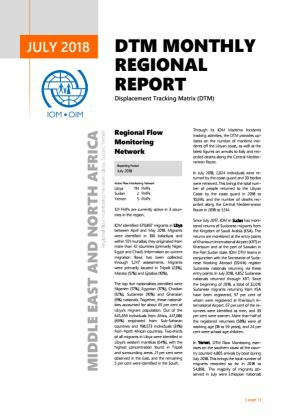 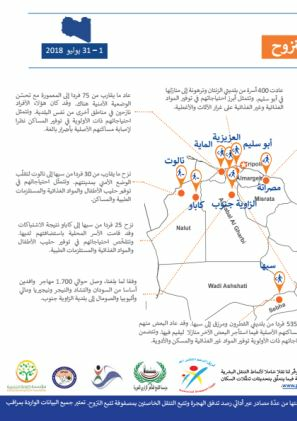 The Event Tracker is part of IOM Libya’s Displacement Tracking Matrix (DTM) programme. 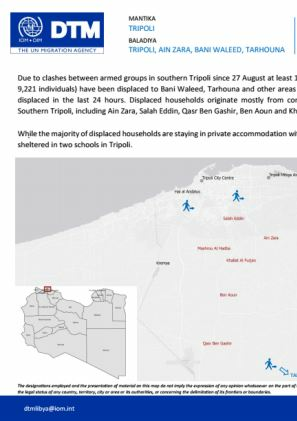 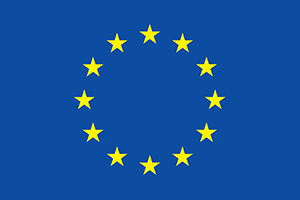 DTM is a suite of tools that provide a comprehensive articulation of Libya’s human mobility patterns. 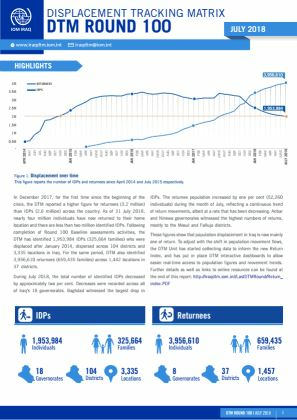 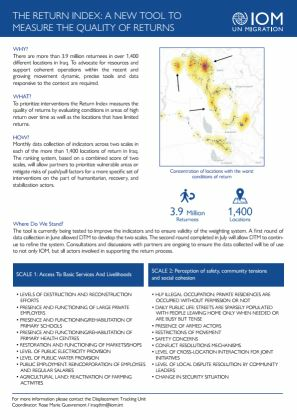 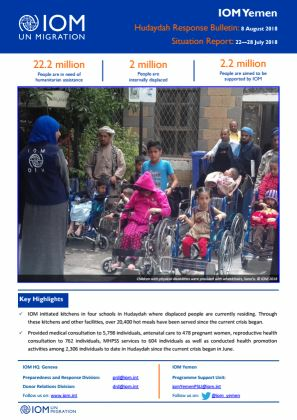 The publication presents DTM's Round 20 complete information packages on Libya's IDP and Returnee Populations. 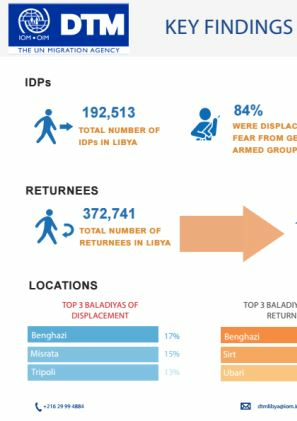 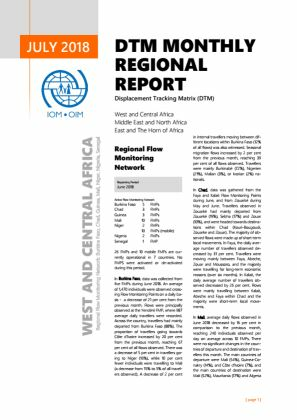 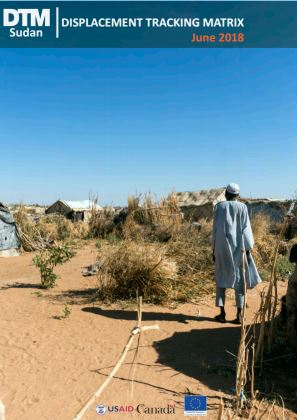 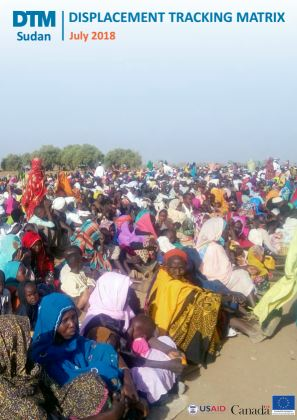 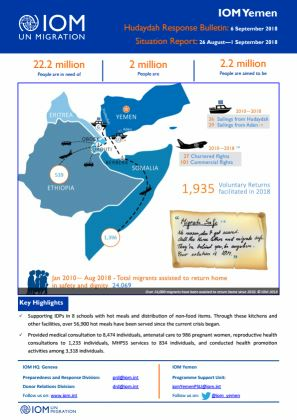 This publication presents DTM’s Round 20 key findings on Libya’s IDP & Returnee populations. 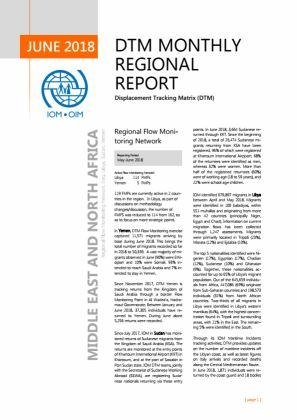 DTM’s Round 20 covers the period of May and June 2018.